I always have people looking for more fine motor skill work! It can be boring to always trace the same lines and kids love different things. Today a have a very fun free Christmas Light Shape Tracing printable to help with some fine motor this month! It is like having a string of lights in a shape. Totally simple and easy to use plus has a little coloring mixed in as well. Each of the pages has a shape to trace with lights around it. I wanted something fun and different for fine motor work this year. It is fun to trace between the lights. This is a simple and easy fine motor with shapes! 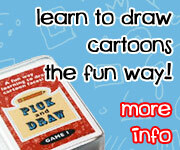 Plus work great with crayons or any way you want to trace and color them! You can just trace and color the lights. We use a yellow crayon to trace the star and then color the light however we wanted. Another way is to make a pattern out of the lights. We traced the square and then did an AB pattern with the lights in red and green. If kids are up for a challenge have them trace the lines with watercolors! We have a blast with this. It gives them much need fine motor control work and works on fine motor skills a different way. If you are looking for more Christmas shape activities check out the shape find! It has fun find the shapes on presents and working on the shape word as well. This entry was posted in fine motor, holiday, shapes and tagged christmas, christmas lights, free, printables, shapes. Bookmark the permalink. I think it is my favorite thing I made this Christmas!